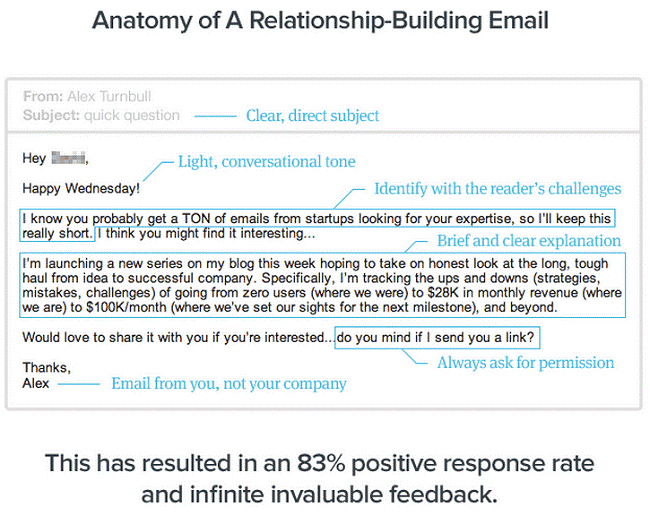 Read these points again and analyze your last rejected/ignored email on these grounds. Can you identify the pain points? Hitting the target: First, you need to identify who your target is. It’s no use going after a person who is highly irrelevant to your scope of work. It is also fruitless if you approach someone who won’t respond to you. Therefore, to save yourself from wasting time and energy on such people, segment your audience based on their specific interests. Getting your message across: Influencers are very busy and may be dealing with dozens of people every day. If you must approach such a person, make sure that your message is crafted to gain their attention. These influencers also have secretaries who check their emails on a regular basis, so your message must be able to past these gatekeepers. Adding value: Once you have gained their attention, it is time for showdown. Provide reasons and logical explanations as to why the person should work with you. It is your chance to make a good impression in front of the influencer. If you ignore this fact, your message will go into junk mail. Design your message in a way that looks highly relevant to the receiver. That’s how you will compel them to open the email. The pitch must be direct, simple and relevant. You can only craft a relevant message when you know who the influencer is, what their interests are and how can you grab their attention. Phrase your email like a casual talk, but remain highly relevant at the same time. Note down the projects/ articles this influencer has done in the past and how they helped you improve your business. Next, think about how your message is going to be of use to this influencer. If he owns a business, can you provide some value to his business? If he is an influencer, can you team up on an exciting new project with him? It proves that the best time to approach a person is after they have recently published a post about something. 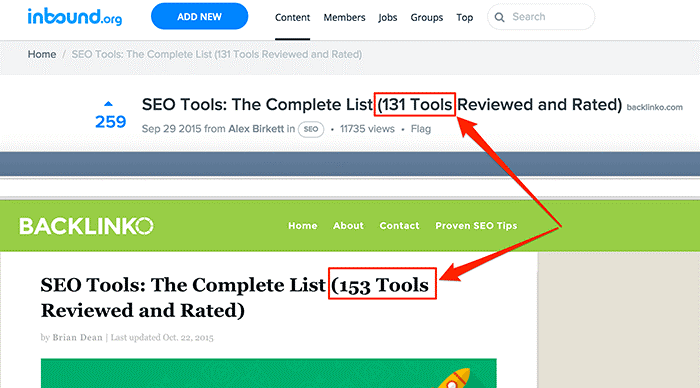 Brian got tons of emails with suggestions, making him update his post to 153 tools. Be ready to make use of opportunities when they present themselves. It could be a conference, a webinar, an online interaction or a cold call. Time your message in a way that the chances of ignorance become low. Another thing you can do is to time your message with something which may be a top priority for this influencer right now. Are they researching something new? Did they recently launch a project? If you join your email pitch with that, there are higher chances of gaining their attention. He was glad to see results coming up several times after he used the same technique to approach people like Neil Patel. What he warns us about though are spam messages. ‘Don’t be a spam-sending jerk’. He says that your emails should make use of exceptional content which also hints at the fact that you should have followed the influencer’s work in depth. Don’t be lazy and write a one liner. Work on the content of the email carefully so that the reader understands where you’re coming from. In simple words, an outreach email for link building is basically asking an influencer to expose their audience to your work (or brand). This can be done by even using social media such twitter and Facebook. Here, you need to provide all the social proof which backs up your work. It’s even more important if you are pitching for a guest post or asking for a product review. This will turn the influencer into a carrier of your brand message. Start with how you are working on something unique and how it can be a great fit for the influencer’s website or social posts. Social proof includes your number of followers, number of impressions generated by your posts and other publications that approved your messages. Finally, build credibility around your message and ensure the influencer that their time and effort won’t go to waste. Most importantly, don’t make the message look like a form of bragging. Make it look like the work of a serious and dedicated person who is received well on big platforms. Gregory Ciotti sent him this email and the personalization from the music perspective got Siver’s attention. Study your influencers before you write your emails. Find out points that will spark their interest and involve them wholeheartedly in the conversation. Andy Crestodina of Orbit Media was determined to connect with Neil Patel and he knew that the traditional outreach email just won’t cut it. He came up with this blogpost and had his editor send this to Neil. It resulted in a reply from the influencer. You can read the full post here. This is the example of a perfectly crafted email, designed just for the receiver. Keep in mind that every email you send is not going to contain all the points mentioned above. It is up to you to decide which one of these are going to work with the kind of person you want to reach out to. Keeping these things in mind is going to push your thoughts and creativity in the right direction. Reconsider your outreach strategies and be genuine with the person you are talking to. There is a human just like you, sitting on the other side of the screen. Write ‘me mail’ which provides value to the receiver, too.